After workplace injuries, supervisors can play an important role in aiding workers, accessing health care services, and providing reasonable accommodation. However, few studies have identified those aspects of supervisor involvement most valued by employees for postinjury recovery and return to work. As part of needs assessment for a supervisory training program, 30 employees from four companies were interviewed about the role of supervisors to prevent workplace disability after injuries. From interview notes, 305 employee statements were extracted for analysis. An affinity mapping process with an expert panel produced 11 common themes: accommodation, communicating with workers, responsiveness, concern for welfare, empathy/support, validation, fairness/respect, follow-up, shared decision-making, coordinating with medical providers, and obtaining coworker support of accommodation. 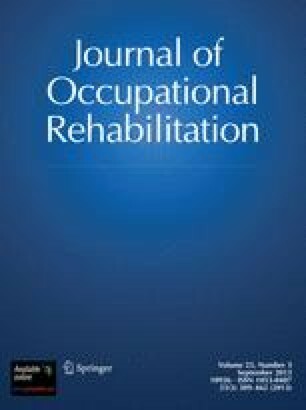 Interpersonal aspects of supervision may be as important as physical work accommodation to facilitate return to work after injury.